Creating a giant circle of love. Receiving and glowing in the incredible light and energy of Divine love. Receiving Divine codes of awakening, presence, and healing from every individual Archangel united as one. But actually send out an incredible wave of love, peace, well-being and positive energy throughout your life and beyond, to positively benefit all. Click the yellow rectangular button below that says: “Yes Give Me The Angelic Pillar of Light Session!” Now! 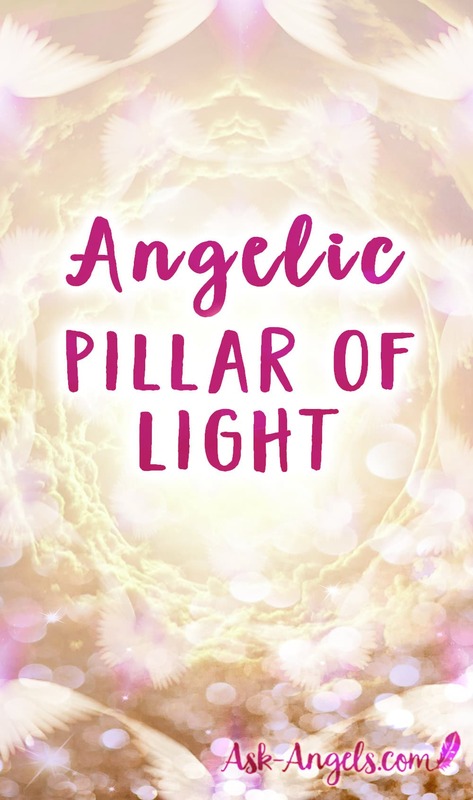 Once you purchase, you'll be able to immediately listen to or download the Angelic Pillar of Light Session. And as always your satisfaction is 100% guaranteed! Gateway of Light Eclipse Activations! I’m 51 year. Captain on a passengership. Living in Denmark, Europe. I have tried to send you some pic. I suddenly makes collages with stone. As you know. Simple things often show most.. I did not know what it was. Things are going very fast for me, and sometimes it worries me. I don’t need to purchaise your things, as I suddenly know how to connect. I meditiate (spelled wrong), while I’m running. Pls. Listen to Nick Mulvey’s new album Wake Up Now. Let me know if you recieve this. Hi Martin! Yes, I saw the lovely artwork you sent! Keep following your muse… Its beautiful! Love and blessings flowing your way!